Immunotherapy is a type of cancer treatment that uses your own immune system to help fight cancer. Stimulating a patient’s own immune system can be highly effective at recognizing and destroying cancer cells. Programmed death-ligand 1 (PD-L1) is a transmembrane protein that can suppress the immune response by inhibiting the proliferation of T cells via apoptosis. It also plays an important role in arresting cell-cycle progression. Normally, the immune system will detect foreign antigens and trigger the proliferation of the immune response including T cells. The binding of programmed cell death-1 (PD-1) to PD-L1 reduces the proliferation of the T cells. PD1/PD-L1 interaction ensures that activation of the immune system occurs at the appropriate time and to minimize the possibility of chronic autoimmune inflammation. Unfortunately, upregulation of PD-L1 may allow cancers to evade the immune response. Many immune-oncology therapies use PD-L1 inhibitors with great success. 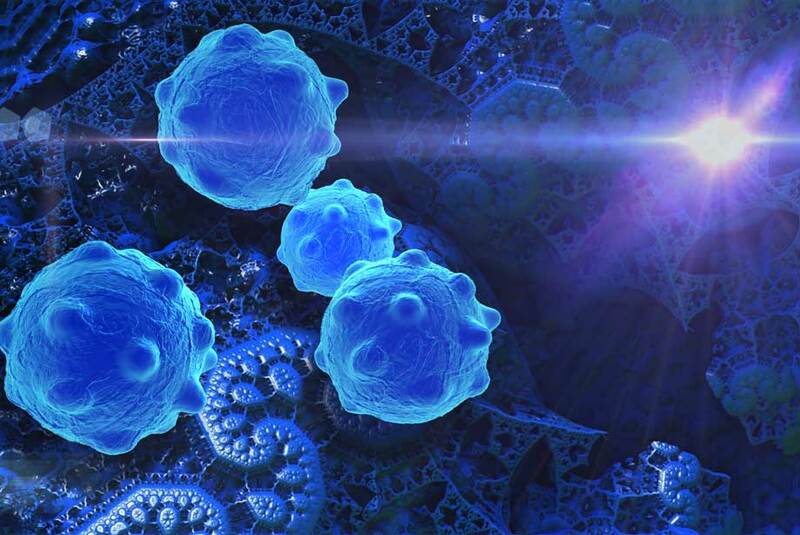 PD-1 can trick your immune system into overlooking cancer cells as normal cells. Recently, a new report identified another protein, CMTM6, which stabilizes PD-L1 and increases the ability of cancer cells to avoid being destroyed by inhibiting the immune response. CMTM6 was identified using a genome-wide CRISPR–Cas9 screen. CMTM6 co-localizes with PD-L1 at the plasma membrane and in endosomes, where it prevents PD-L1 from being degraded. Interestingly, interfering with CMTM6 expression impairs PD-L1 protein expression. Therefore, this makes CMTM6 an attractive therapeutic target for cancer and immunologic diseases. Enzo provides a wide variety of products for your Cancer and Immunology research needs. We create innovative assays and reagents in the fields of epigenetics, autophagy, and Wnt research. These novel tools, and a broad portfolio of products established for decades in peer-reviewed literature, will help support cancer discovery into the next decade, and beyond. We offer our SCREEN-WELL® Cancer Library, a collection of 275 compounds that can be used for screening and assay development. Our portfolio also includes kits, antibodies and proteins including PD-L1, PD-1 and MEGACD40L® to aid your research.